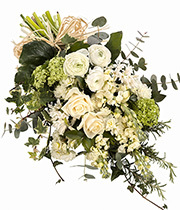 UK Florists Who Specialise in Funeral Flowers, Funeral Wreaths, Floral Tributes Online in The UK - Florists For Funeral Flowers UK, Floral Tributes, Arrangements, Wreaths & Flowers For Funerals. 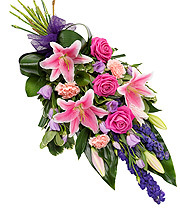 Find Funeral Flowers Online from Florists in your local area, including Wreaths, Floral Tributes and Flowers For A Funeral Service. 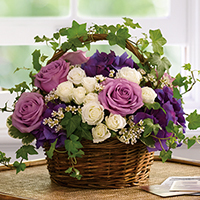 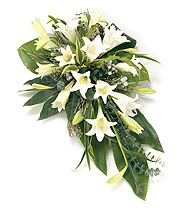 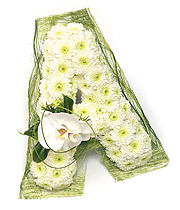 Flowers for funerals, a simple and elegant way to pay your respects. 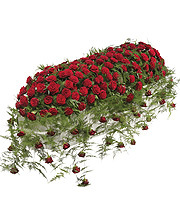 These funeral flowers and wreathes from Flowers Direct can be delivered anywhere in the UK by skilled local florists, so you can rest assured that your funeral flower arrangements will be delivered on time and of the highest quality. 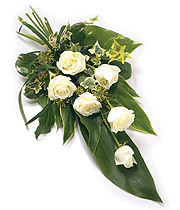 Below are some examples, there are many more options available, including funeral flowers tailored to suit your exact requirements. 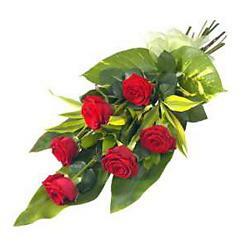 A simple tied 6 Rose Sheaf. 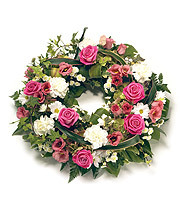 A pretty wreath in pink and white shades. 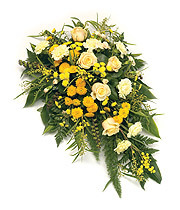 A tied sheaf in golden shades. 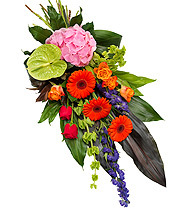 A single ended yellow spray. 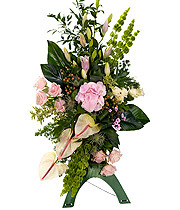 An all round posy arrangement in shades of pink and white. 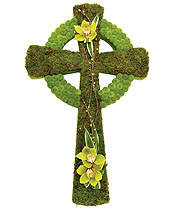 UK Funeral Florists - Find out more. 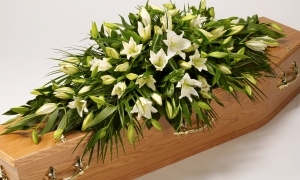 Prepaid Funeral Plans - Find out more. 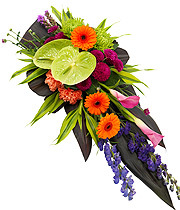 UK Florists - Find out more.